‘Another Starry Night’ is a 2 day workshop inspired by Vincent van Gough's painting The Starry Night. 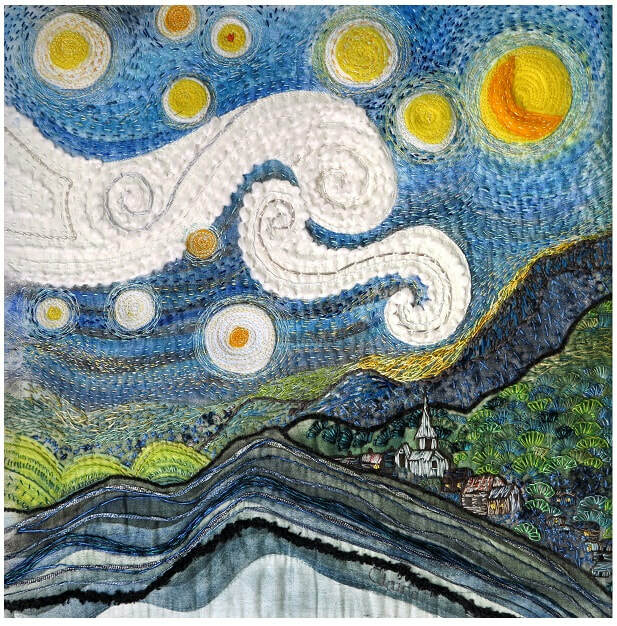 In the workshop you will create a beautiful and densely stitched art quilt that can optionally be mounted onto stretcher bars to make a piece of art for your wall. You will learn how to use Markal oilstick paints to create a deeply coloured background and then add lots and lots of stitch to emulate van Gogh's distinctive style. Click here to contact me to find out more or book this workshop at your venue.